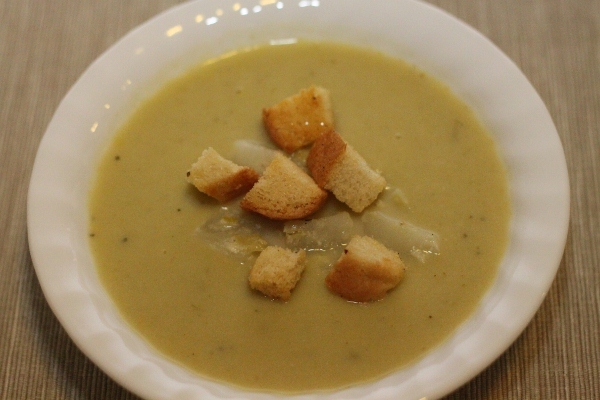 Dorie is right, this is a simple soup to make. 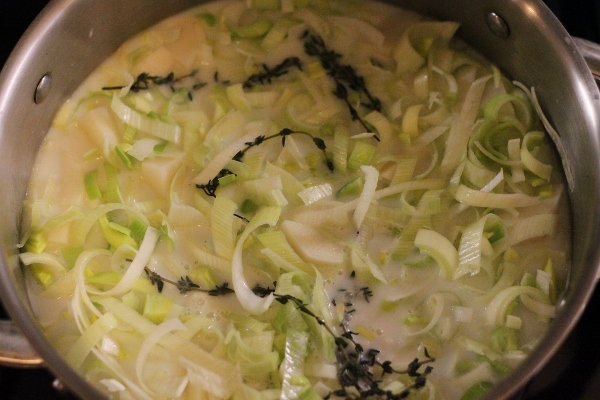 Leeks and potato cooked in chicken broth and milk. The soup came together in under an hour and it was very satisfying. I followed the recipe except for the potatoes, I used 2 instead of 1. I wanted to have some potato chunks in my soup but I also wanted a smooth soup. So when the soup was done, I scooped out some potatoes before hitting it with my immersion blender. I also made my own croutons because I happen to have a stale bun in the bread bin. 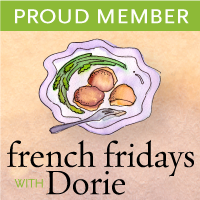 This recipe can be found in Dorie Greenspan‘s Around My French Table. This month FFWD members are free to select the recipe they want to make each week from the December set of recipes. Check out what other members made here.